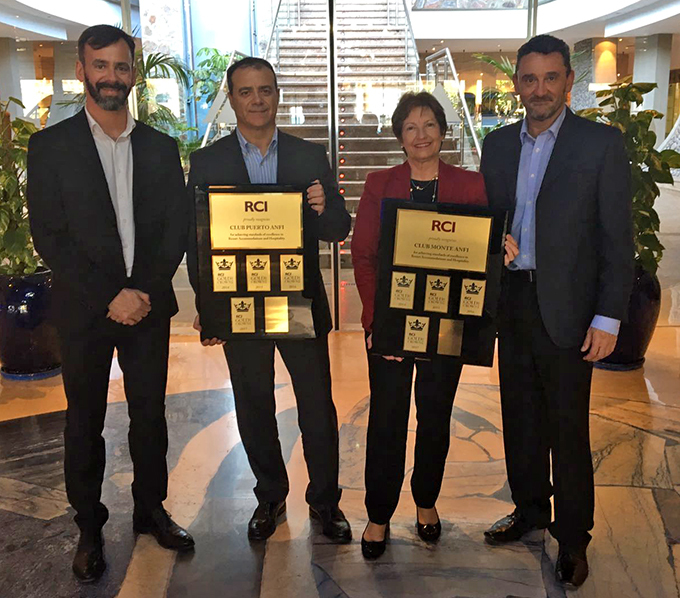 Leading European timeshare developer the Anfi Group has been awarded RCI’s President’s Award for 2017, as well as RCI Gold Crown awards for all its five properties in Gran Canaria. The President’s Award has been presented in recognition for the company’s commitment to transforming the vacation experience and growing its business, while Anfi Beach Club, Club Puerto Anfi, Club Monte Anfi, Club Gran Anfi and Anfi Tauro Golf & Luxury Resorts all achieved RCI Gold Crown status. Located in Mogán on the idyllic south west coast of Gran Canaria, the resorts are all long-term affiliates of RCI, with original property Anfi Beach Club first joining the RCI network 25 years ago. All five resorts set standards for the industry, and continually achieve high levels of excellence for the quality of accommodation, hospitality, and member experience ratings as measured by RCI, and have been Gold Crown resorts since their inception. 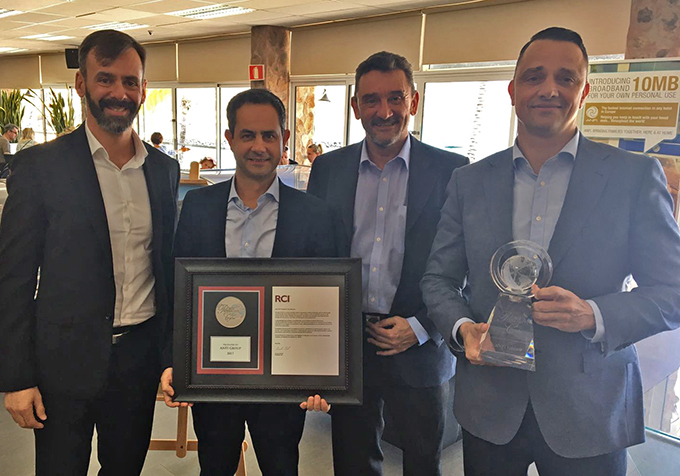 RCI’s affiliate services manager Carlos Moreno said the exchange company was “proud to have Anfi as one of our main affiliates in Europe, being a reference of high quality and exclusivity in the European Timeshare market”. He added: “The Anfi Group has been Europe’s leading vacation company for more than two decades, setting the benchmark for luxury and lifelong perfect holidays.